Lilly Singh isn’t the first YouTuber to write a book, but she may be the first to announce her literary foray on The Tonight Show Starring Jimmy Fallon. 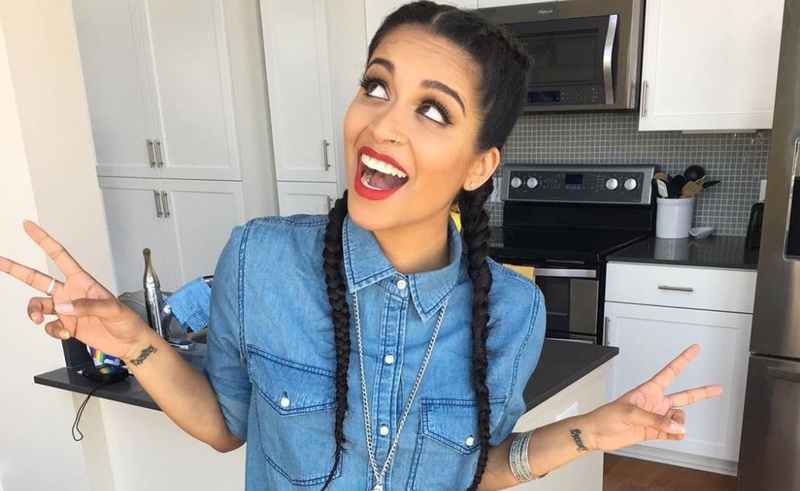 Singh, who has also created her own lipstick shade and headlined a world tour that was subsequently made into a documentary, will release How To Be a Bawse: A Guide To Conquering Life next March 28. A ‘bawse’ — which is also the name of Singh’s signature Smashbox lipstick — is a person who “exudes confidence, reaches goals, gets hurt efficiently, and smiles genuinely because they’ve fought through it all and made it out the other side,” according to the book’s website. Singh is the second major YouTube star to announce a book project in recent days. Last Thursday, Joey Graceffa announced that he will release in October Children Of Eden, a dystopian YA novel that will serve as a follow-up to his 2015 memoir, In Real Life.